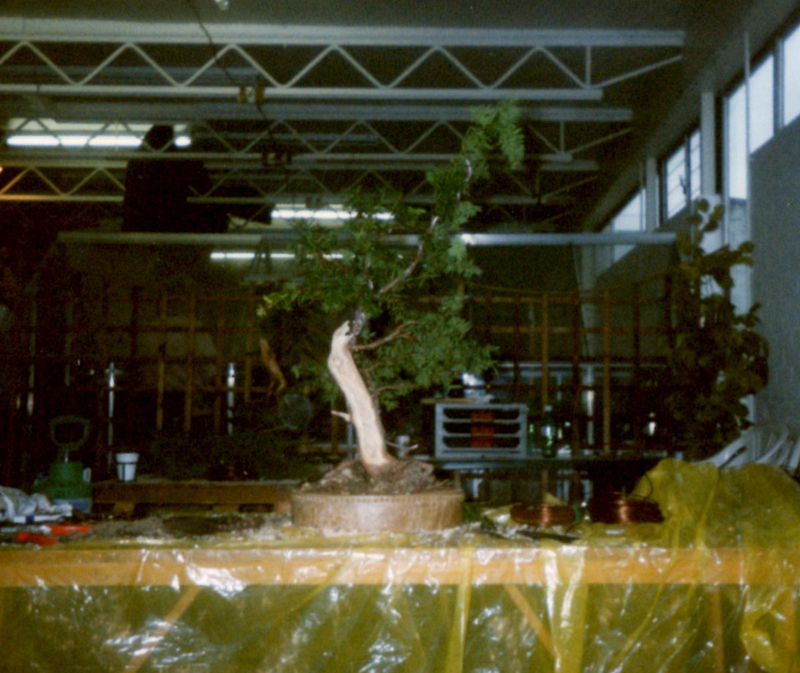 History: This tree was originally garden Centre stock and first styled by Kevin Willson in a workshop in 1997. 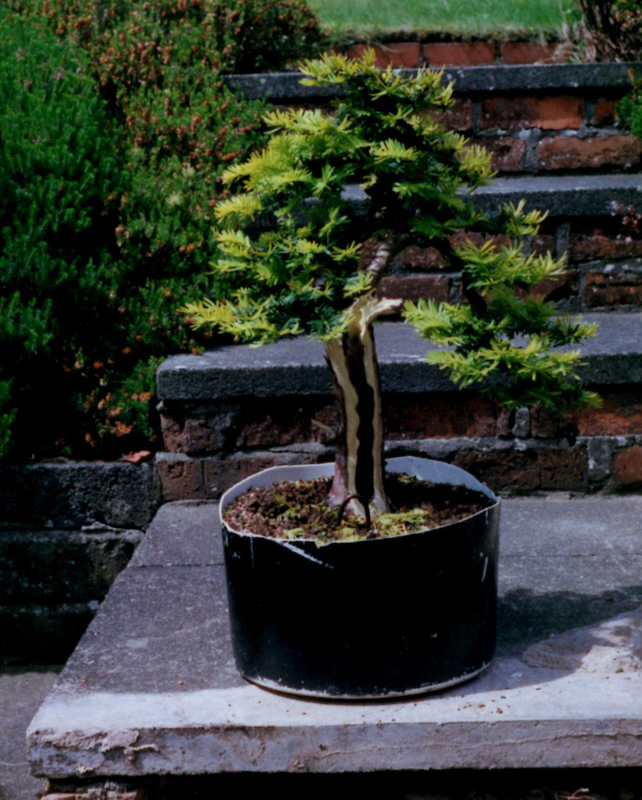 The tree was owned by Phil SDonnelly at this stage and was sold to Bertie in 1999. 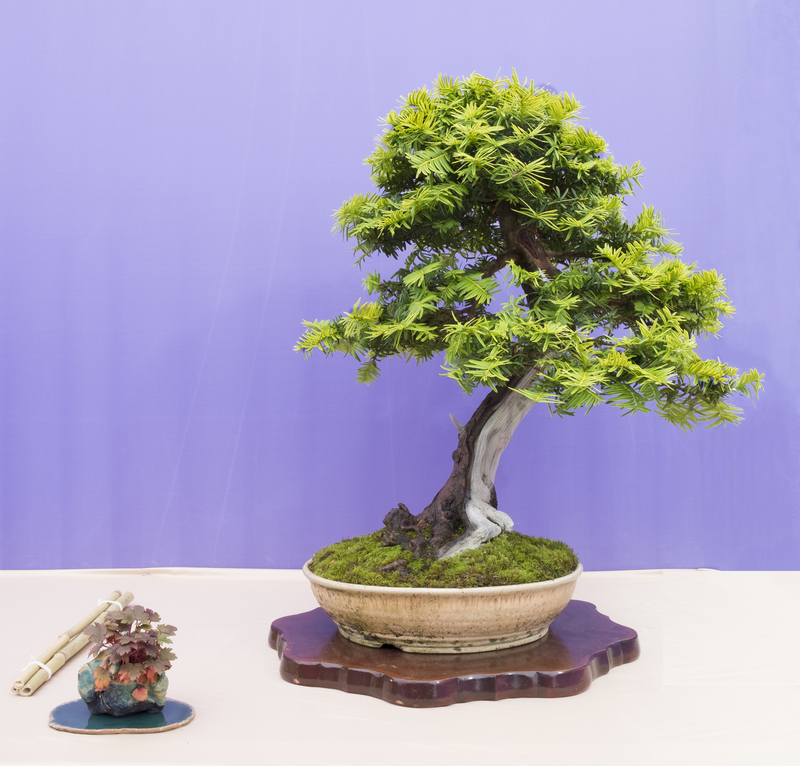 The tree has developed well under Bertie’s care and is now in a Jackson Conn Pot. 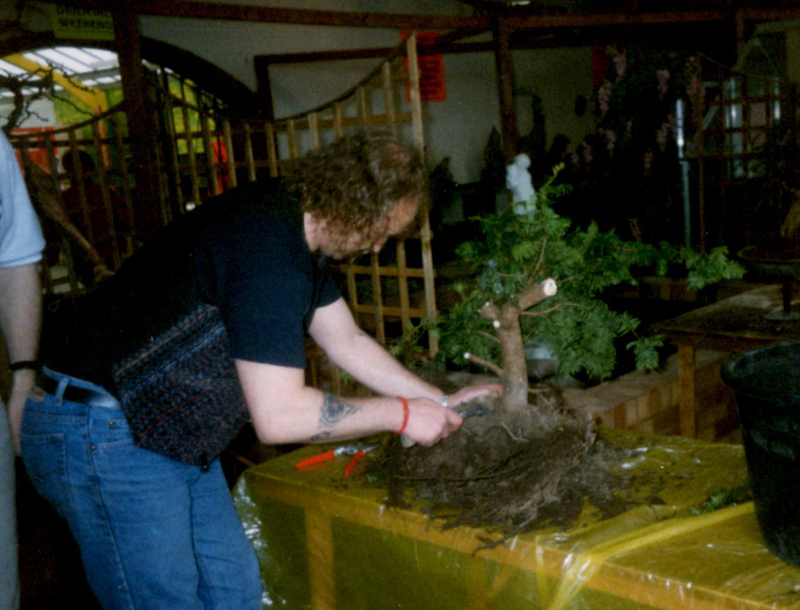 Jackson was a NIBS member who sadly no longer makes bonsai pots. 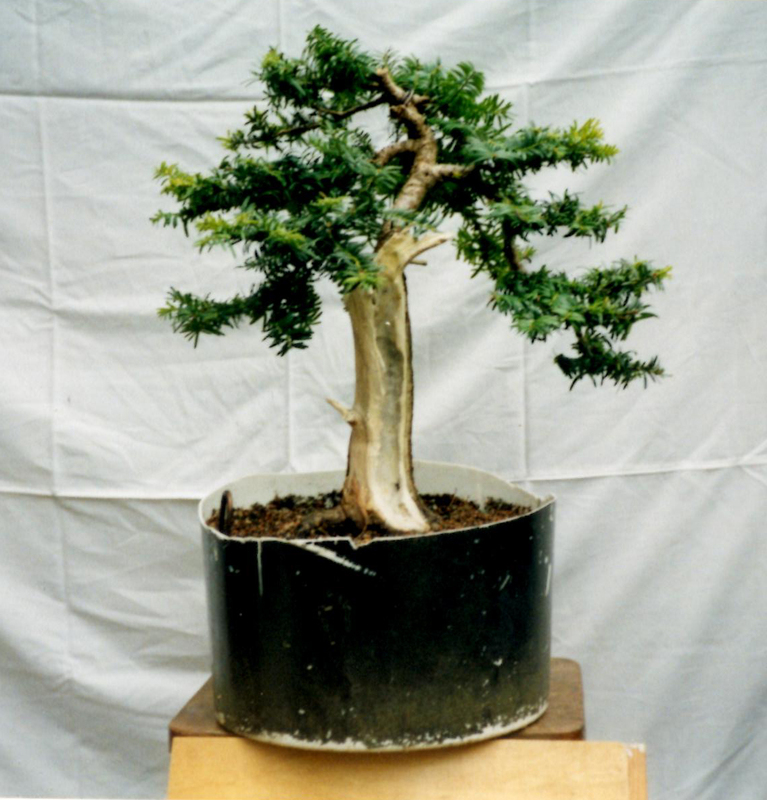 This tree was selected for Bonsai 30 as a great tree in it’s own right but also shows some of the history of the NIBS over the last 30 years. 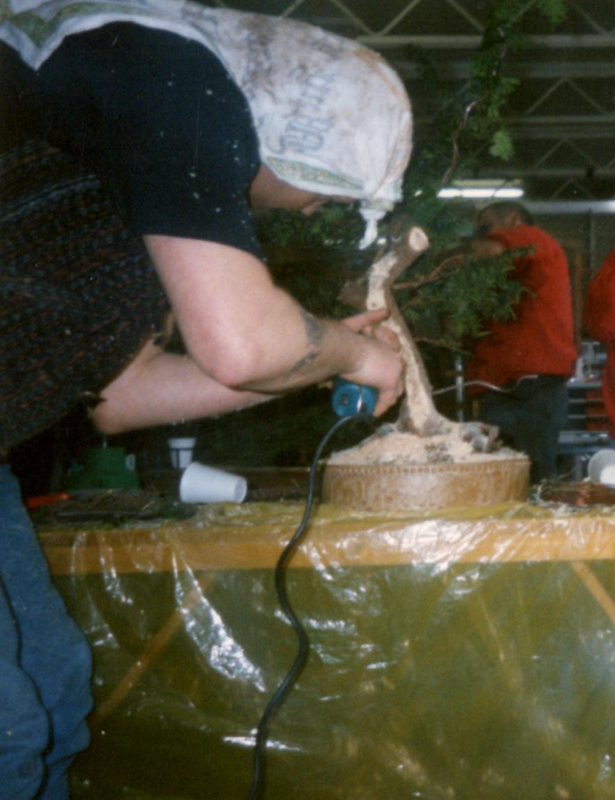 Kevin Willson carving the tree in 1997. The tree a few years later.